Mon., May 1, 2017, 1:09 p.m.
Well, that didn’t take long: Organizers of Fyre Festival have been hit with a $100 million class-action lawsuit alleging fraud and breach of contract. The complaint, filed Sunday in U.S. District Court in California, alleges fraud and breach of contract by Billy McFarland, Ja Rule (real name Jeffrey Atkins) and Fyre Media Inc. It highlights a number of the social-media posts that went viral on Thursday and Friday about the situation in the Bahamas. The music and lifestyle festival, billed as “the cultural experience of the decade,” melted down spectacularly as thousands of guests who’d paid thousands of dollars to enjoy the weekend arrived on a private island to find that preparations were nowhere close to finished. Organizers canceled the planned two-weekend event on Friday, but not before people who’d paid thousands to attend found themselves stranded. The event was to have been “cashless,” which complicated would festival-goers’ efforts to get home after the cancelation, the suit alleges. 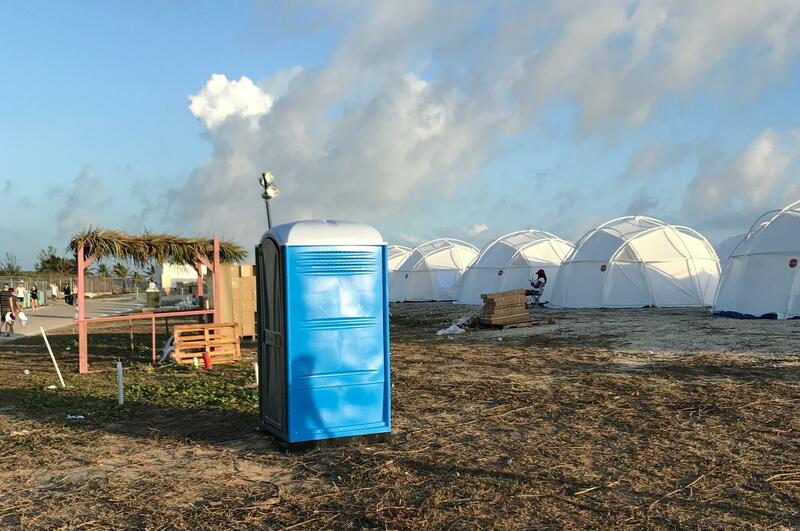 Fyre Media Inc. did not respond immediately Monday to a request for comment. However, organizers had offered an explanation about the festival itself in a statement issued Friday. “As amazing as the islands are, the infrastructure for a festival of this magnitude needed to be built from the ground up. So, we decided to literally attempt to build a city. We set up water and waste management, brought an ambulance from New York, and chartered 737 planes to shuttle our guests via 12 flights a day from Miami. We thought we were ready, but then everyone arrived,” it said, in part. “The team was overwhelmed. The airport was jam-packed. The buses couldn’t handle the load. And the wind from rough weather took down half of the tents on the morning our guests were scheduled to arrive. This is an unacceptable guest experience and the Fyre team takes full responsibility for the issues that occurred,” the statement continued. Refunds would be issued and all would-be guests would receive VIP passes to the festival next year, organizers said. An apologetic Ja Rule, – who said Friday that he was taking “responsibility” for a mess that was “NOT MY FAULT” – tweeted Sunday that he was pleased to hear that all festival guests were safe and had been sent refund application forms. Published: May 1, 2017, 1:09 p.m.